Odorless and highly water resistant this vinyl infused closed cell rubber foam is engineered to absorb airborne noise ranging in frequencies of 15 k Hz -20 k Hz.The foam decouples sound waves or cushion panels that are vibrating. 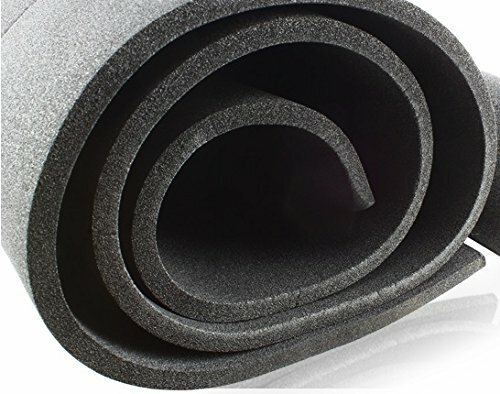 Combined with a Mass Loaded Vinyl like Luxury Liner the foam works as a decoupler enabling the two products to work together at blocking/absorbing the most stubborn air-borne noise frequencies. Odorless vinyl infused closed cell rubber foam. Heat Resistance to 165 Degrees F. Must be 2" from heat source. Water resistant ideal for use in wet areas inside of vehicles. engineered to absorb airborne noise ranging in frequencies of 15 k Hz -20 k Hz. If you have any questions about this product by Second Skin Over Kill Pro, contact us by completing and submitting the form below. If you are looking for a specif part number, please include it with your message.